▪ Information is everything! 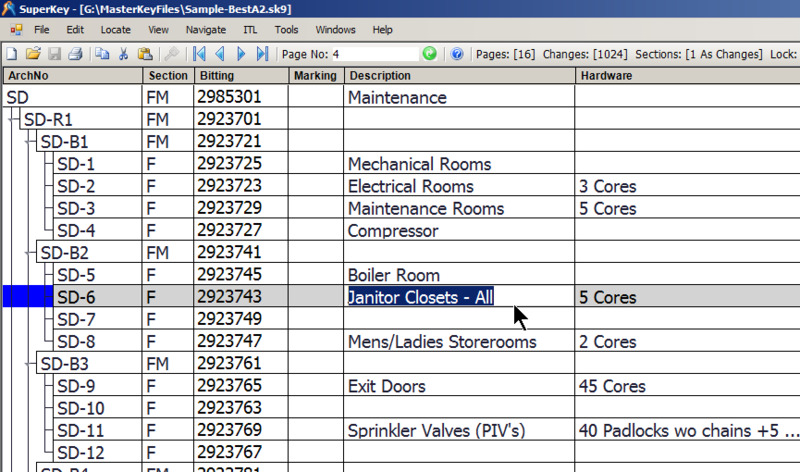 It’s not enough to just create a master key system and key the customer’s locks. ▪ SuperKey allows you to associate information with each bitting and master key in a system. ▪ Document the door location, hardware used, key stamping, keys cut unlimited notes and more for each bitting or master key. ▪ All entered information is editable and searchable. Add or edit text information about a bitting or sub master key. 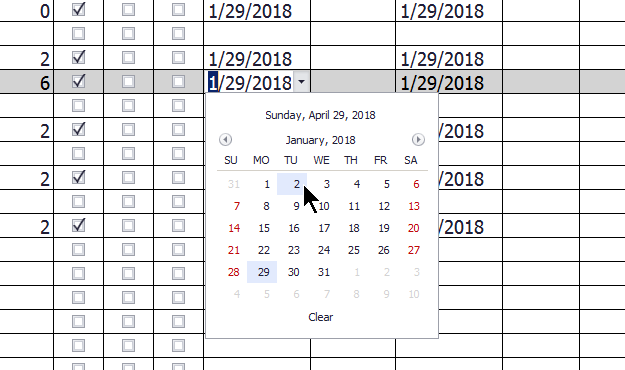 Dates can be entered directly or with the pop up date editor. 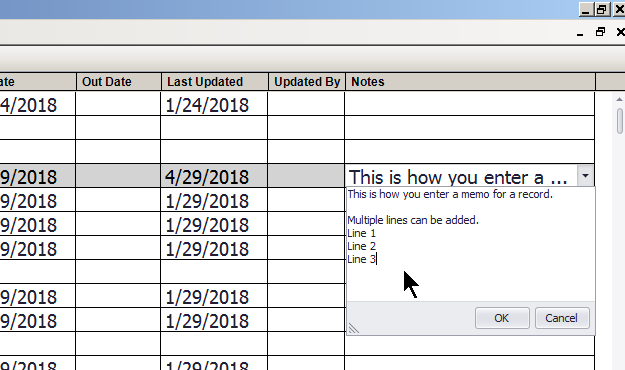 Memos are added or edited with an in-line text editor.